Categories: Rock | Tags: 1980s, 1985, Rock, The Waterboys, ukulele | Permalink. Looking back it’s been over 18 months since I posted a Gillian Welch song on here. So it seemed time to rectify that. So this morning this little ditty popped up whilst the iPod was playing on shuffle. And I thought, “that’s nice” and “that would work on the ukulele”. So this evening I gave it a try. And I was right – it does work. This is the third song from 2003’s Soul Journey album that I’ve posted on here (see also Look At Miss Ohio and No One Knows My Name). Which is odd, because as I said previously that album is probably my least favourite of her albums (which doesn’t mean it’s bad, it just means that Gillian sets the bar *so* high). But in contrast to the fuller band sound of a number of the tracks, One Little Song is stripped back to the very basics – just haunting vocals and picked guitar. 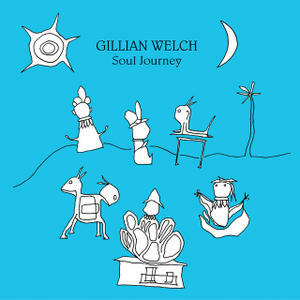 It is a brief but not inconsequential tune that is seemingly born of a struggle to write a new tune (Welch sets herself high standards, and has commented that songwriting can be a struggle, something that contributed to the 8 year gap between Soul Journey and it’s follow-up, The Harrow and the Harvest). And here’s the songsheet. Nothing too complicated as far as the chords are concerned, although there are a number of barre chords in there. I’ve added in an Asus4 for the intro, and you can throw a few of those into the first couple of lines of the verses if you wish, to give it a bit more colour. Oh, and this is definitely one to try picking if you can – its not really a strummer. Enjoy! Categories: Country | Tags: 2000s, 2003, Country, Gillian Welch, Singer-Songwriter, ukulele | Permalink. Not only is Steve McQueen one of the albums of the 1980s, I would argue that it is one of the albums of all-time. Not that this seems to be a universally held truth. Despite a lot of love for it, it only manages to scrape in at number 434 on the NME list of the best 500 albums ever. And doesn’t appear at all on the equivalent Rolling Stone list. But in this case I can safely say that they are both wrong. 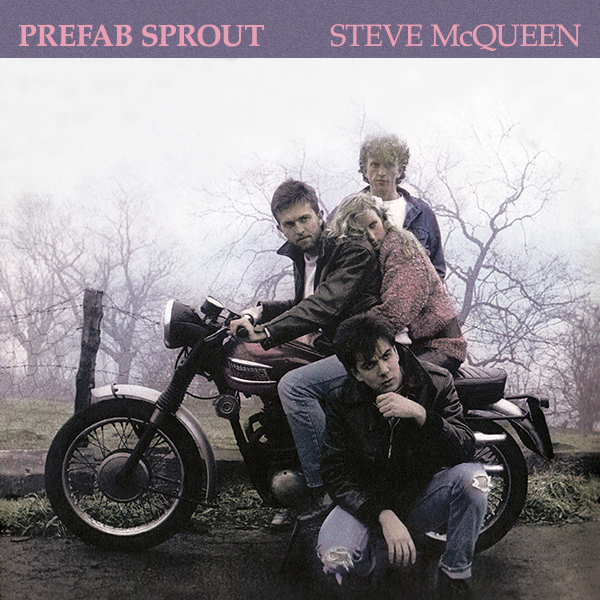 Steve McQueen, the second album from Paddy McAloon and his erstwhile band Prefab Sprout, was/is pure genius. Musically sophisticated yet still totally accessible, lyrically witty whilst still emotionally resonant, melodies to die for, all given a superb pop sheen by producer Thomas Dolby. Oh, and the angelic backing vocals of Wendy Smith are (more than just) the icing on the cake. From the opening meta-country of “Faron Young” (a country-tinged song taking “Four In The Morning” as its emotional reference point ) the standard is set. Side One then ploughs a furrow that, to my mind, is not excelled anywhere in pop music – Bonny, Appetite, When Love Breaks Down (released at least three times, and still only charting at #25! ), Goodbye Lucille #1 (otherwise known as Johnny Johnny), Hallelujah (*not* the Leonard Cohen song!). And if Side Two is somehow less than the first, it is only because of the insanely high standards that have already been set – Moving The River, Horsin’ Around, Desire As, Blueberry Pies, When The Angels. Pure pop perfection in one single package. Nobody could keep up that standard forever, but McAloon and Co. certainly didn’t let that stop them trying. Official follow-up From Langley Park To Memphis, the sprawling, ambitious, vaguely conceptual (Love, God, Elvis, Death!) Jordan: The Comeback, the more low-key Andromeda Heights, and the surprise solo (but still using the Prefab moniker) Crimson/Red all flew the flag for perfect, sophisticated pop (and McQueen’s predecessor, the slightly prickly Swoon, would be up there too). Yet Steve McQueen acts as a high water mark for just how perfect perfect pop can be. So here is Bonny, a lyrically ambiguous tome (is it about a girl that’s left him, or a man that’s died) that is a perfect representation of the Steve McQueen sound. It was later covered very successfully in a more reflective, slowed down version by Editors (who – coincidence or not – were on the same record label – Newcastle-based Kitchenware – as the Prefab’s, at the time a veritable feast of goodness with stablemates including Hurrah!, Kane Gang and Martin Stephenson and the Daintees). So can we do justice to this marvellous song on the ukulele? Probably not, but that won’t stop me or you trying. So here’s the songsheet. If it looks a little busy, don’t worry. Listen to the song, particularly the intro, to get the strumming pattern going which you can keeping going throughout the song. Some of the transition chords are very brief (e.g. the Asus4 at the beginning of the chorus lines, the A’s at the end of those lines, and all the Bm7’s) and could be skipped if you struggle with timing. But they do add to the colouring of the song. If in doubt at any time, just resort to that gorgeous major 7 chord! Enjoy! Categories: Indie, Pop, Rock | Tags: 1980s, 1985, Indie, Pop, Prefab Sprout, Rock, ukulele | Permalink.